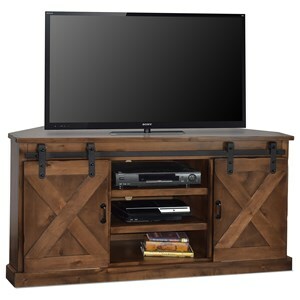 Constructed with premium select knotty alder solids and veneers, this beautifully-styled television console presents a wonderful addition to your living room. 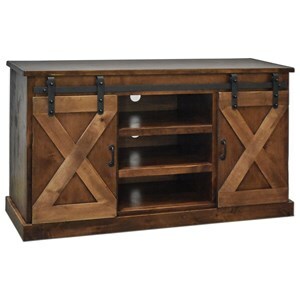 Featuring two center wood shelves and two wood doors with x-accents that each conceal one shelf, the console highlights rustic and industrial style elements. 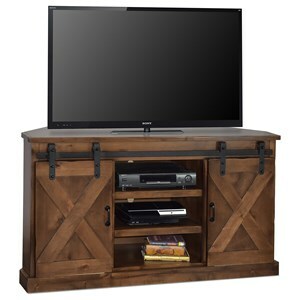 Completed with prominent hardware, this corner console offers a wonderful place for your television and related accessories. 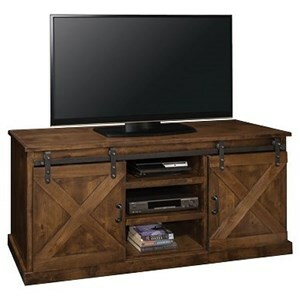 The Farmhouse Collection 66" Corner TV Console with Sliding Doors by Vendor 1356 at Becker Furniture World in the Twin Cities, Minneapolis, St. Paul, Minnesota area. Product availability may vary. Contact us for the most current availability on this product. 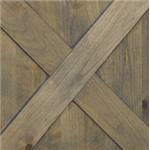 Case Construction Premium select knotty alder solids and veneers. 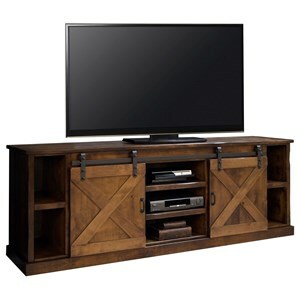 The Farmhouse collection presents beautiful options for your living room, bedroom, or entertainment space. Highlighted by a distressed, rustic-styled finish, this collection features sliding doors, ample shelving, and industrial accents. 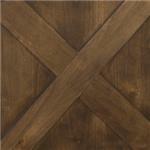 Completed with one of several finish options, these pieces are a perfect addition to your rustic home. 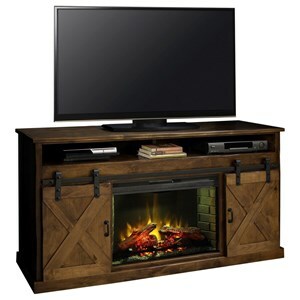 The Farmhouse Collection collection is a great option if you are looking for Rustic Industrial furniture in the Twin Cities, Minneapolis, St. Paul, Minnesota area. 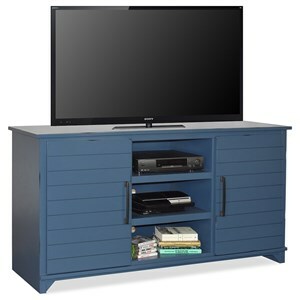 Browse other items in the Farmhouse Collection collection from Becker Furniture World in the Twin Cities, Minneapolis, St. Paul, Minnesota area.